Join us for a fabulous four days of riding and viewing the Giro d’Italia. 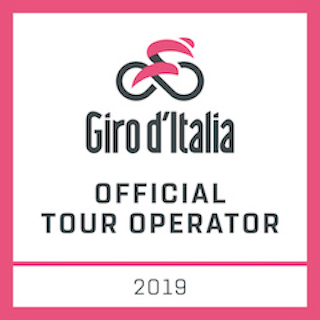 Enjoy the Queen Stage of the 102nd Giro d’Italia with VIP Hospitality as well as ride every kilometre of the Queen stage including climbing Mortirolo and Passoni Gavia. You will be met by one of our friendly team at the arranged meeting point and transferred to your hotel in the pretty spa town of Boario Terme. On arrival there will be plenty of time to meet other guests, and have a bike fitting before we plan an afternoon ride. The afternoon ride will give clients the opportunity to get used to riding in Italy as well as make sure bikes are working correctly. The ride will consist of 65km and an easy climb to Vigolo overlooking Lake Iseo. This evening dinner will be served in the hotel restaurant, after which a short presentation will be made by staff explaining the next day’s riding. Rest day for the Giro, but an opportunity for clients to enjoy the delights of one of the most unspoilt areas of Italy. We will again be offering two routes for riders. The first a magical and relatively flat ride around the beautiful Lake Iseo and Franciacorte wine region. The other, a slightly more challenging day that includes 226km and every kilometre of the Queen Stage! Fully supported and guided by Daniele Ratto (Grand Tour Stage Winner) the day includes Presolana, Gavia and Mortirolo. Dinner will be very well earned and served in the award-winning hotel restaurant. This morning after breakfast we will enjoy the stage start in Lovere before transferring you to Passa Gavia. From an excellent vantage point, you will have the opportunity to watch the pass as they tackle one of the most iconic climbs in cycling history. The conclusion of today’s stage will be viewed from the VIP hospitality area at the finish line. With drinks and food included, this is the place be. Dinner will be served in our favourite restaurant in Ponte di Legno before we transfer you back to your hotel in Boario Terme. This morning we have the opportunity for one more ride before we transfer you to your agreed destination. As is norm, we will be offering two routes today. The first, a relatively easy coffee ride to the historic village of Breno. 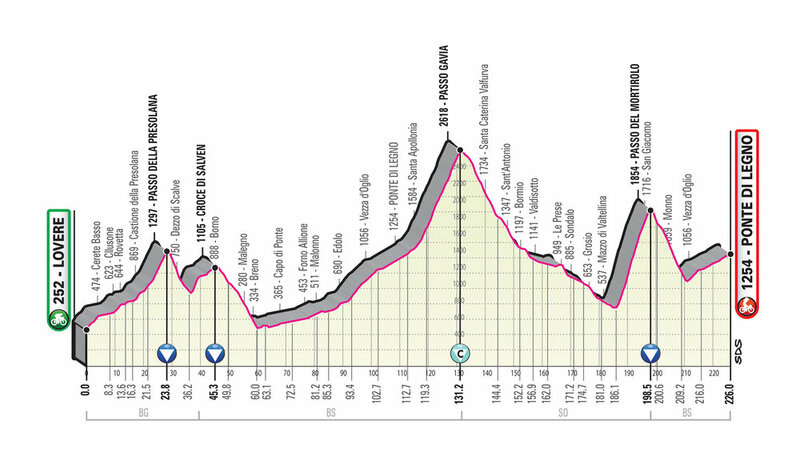 The second option will culminate in a summit of Montecampione, the scene of Marco Pantani’s finest hour.